For some people, the thought of receiving dental treatment can spark enough anxiety to cause them to avoid visiting the dentist completely. 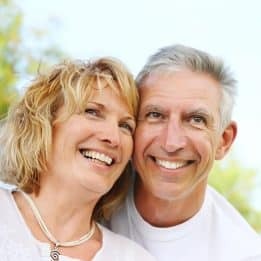 Unfortunately, that hesitation could mean the progression of existing dental issues, like tooth decay or gum disease, and the eventual need for more extensive dental treatment. With a focus on prevention and optimal patient comfort, we offer nitrous oxide sedation (also known as laughing gas) to help you stay calm and relaxed during your treatment. The sedative gas produces a mild euphoric feeling, and is safe for nearly all patients, including young children, seniors, and expectant mothers! Although laughing gas is a common name for nitrous oxide, the sedative doesn’t exactly make you laugh uncontrollably. On the contrary, nitrous oxide places you in a calm and relaxed state while allowing you to remain fully conscious and responsive. Unlike other sedative medications, nitrous oxide is inhaled through the nose via a small mask, and then exhaled through the mouth immediately afterward. The sedation doesn’t work its way through your system, so it doesn’t take long to dissipate, and the feeling will evaporate almost instantly after you remove the mask. Can you benefit from laughing gas? If you feel uneasy about your appointment or your treatment, then speak with your dentist about the benefits of nitrous oxide sedation during your visit. To learn more, schedule a consultation with one of our experts by calling the My Dentist office in Londonderry, NH, today at (603) 965-3407.